When Leiel's mother is Sacrificed to the Draigon to relieve the terrible drought, Leiel is marked by the shame brought to her family. She must leave school, relegated to a new life of servitude. Cleod, the woodcutter's son, is Leiel's closest friend. To avenge Leiel's mother, he vows to rise above his station and join the Ehlewer Enclave, an elite society famed for training men to kill Draigon. The friends' lives take different paths. Cleod struggles with divided loyalties as he learns he cannot be a Draigon hunter while remaining a friend to a tainted woman. Leiel seeks forbidden knowledge and old secrets, placing herself in danger of sharing her mother's fate. 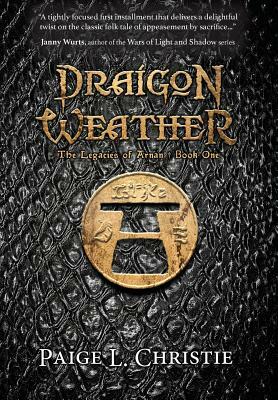 When Draigon Weather returns to the land, Cleod has the chance to fulfill all his promises--both to Leiel and to his new masters, the Ehlewer. But as the rivers choke on their own silt and heat soaks the ground, the choices the two friends have made begin to catch up with them--for what plagues Arnan is more than just a monster.